The Chargersonic band and Chargerettes put on a show at the sugar bowl. Marching and dancing through the streets of New Orleans in their green and gold uniforms were the Suncoast Chargersonic band and Chargerettes. Prancing and performing through the streets, these Suncoast students participated in AllState Sugar Bowl New Years Eve Parade. The AllState Sugar Bowl is a football game between two colleges who have made it to the postseason. This year, Alabama and Clemson played in the game. The event is hailed as one of the most anticipated college sports events of the year. On December 31, 2017 the day before the game, the New Year’s Eve Parade was held and brought bands from schools all over the United States. Tourists along with visitors celebrated the New Year and the Sugar Bowl with floats, boats and marching bands in typical New Orleans flair. If one could not attend, the parade was broadcasted live for about three hours on the local channel “WDSU-Channel 6” and was uploaded on Youtube. One of the bands that participated was our very own Suncoast Chargersonic band along with the Chargettes who were invited for the third straight year. Although many of the members performed for the first time on this big stage, they performed exceptionally well, winning first (superior) in every category which included best drum major, percussion/auxiliary and many more. “I mean we always expect to do this well so it wasn’t a surprise at all” Junior Hunter Garcia said. The Charger Band has been well known around the country for their exceptional performances that are filled with a unique energy and flair. 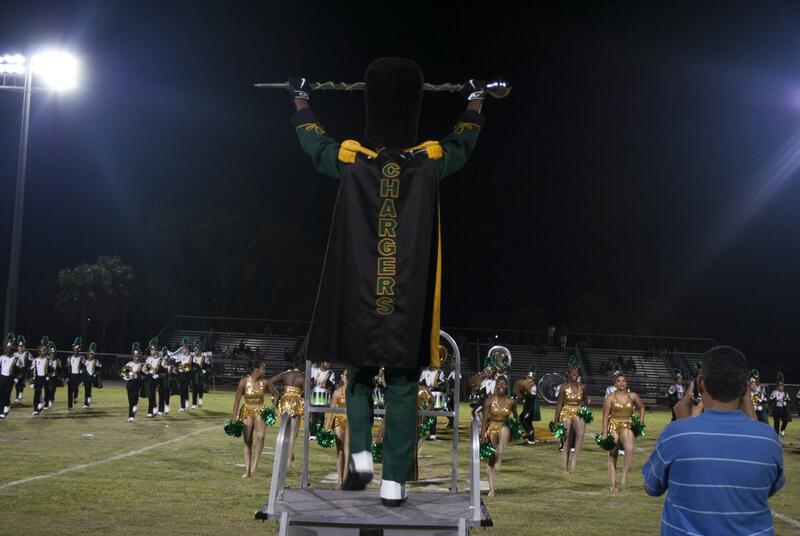 Reporters are generally aware of the talent that is displayed by the band given their past record at competitions such as the Florida Classic. A first time performer at the AllState SugarBowl, Senior Tyriq Stewart, recalled the event “From start to finish it was high energy and non-stop fun.It was a great experience that I definitely won’t forget.” said Stewart. Given all of the success of the band in the past and at this event they will likely return next year to the Sugar Bowl for another performance. Although many members will not be able to return, this was an experience that will last a lifetime for everyone involved.